Compliment your stunning garden design with a range of accessories, from ornaments, to stepping stones, to gravel, pebbles and more! Our accessories can be both functional and decorative, and are available in many colours and styles to match your paving, garden walls or your home. Enhance your garden with our wide range of garden ornaments including decorative pebbles of varying colours and sizes, textured stepping stones and even water features. Our ornaments and water features will bring your garden to life adding visual interest and focal points to your patio and plant beds. Gravel, stones and pebbles give your driveway or patio a neat and professional finish, ideal for many different landscaping projects around the garden including attractive pathways, enhancement of water features and as an alternative to mulched areas and borders. Our gravel, stone and pebble mixtures come in a variety of colours and textures to suit any garden style. 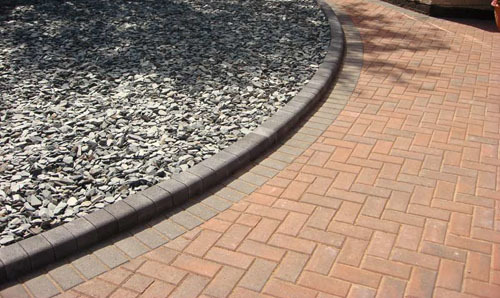 Our kerbs, edging and coping are versatile in use and are used to make restraining edges to driveways, patios and pavements. As well as creating a professional finish to your driveway or patio, they can be used to make steps, borders and other landscape features around your garden. 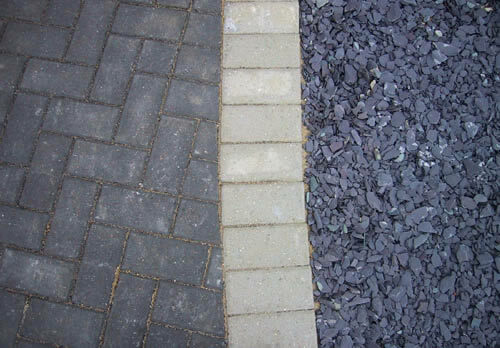 Block paving can be laid in different orientations to complement your home and garden.